An Indigenous woman will be a candidate for president in Mexico for the first time in history. If their candidate wins, they’ll be the country’s first female president, but not the first indigenous person to hold the office. Ryan Mallett-Outtrim reports. 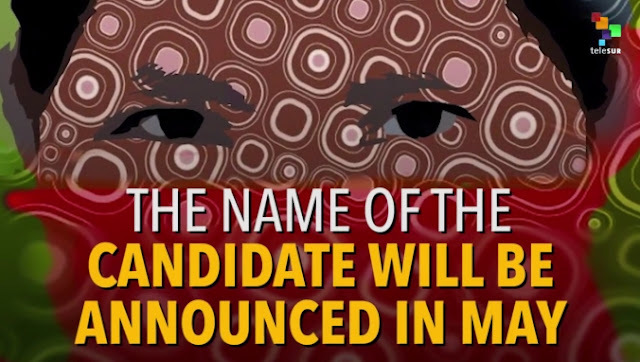 Few details of the possible candidate have been released, though the EZLN and CNI have confirmed the individual will be indigenous, and a woman. However, in a joint statement, the two organizations argued that their presidential bid won’t be an ordinary campaign. Instead, they said they will use the office of president to dismantle the Mexican government from the inside out. ‘We confirm that our fight is not for power, we do not seek it; rather we call all of the original peoples and civil society to organize to detain this destruction, to strengthen our resistances and rebellions, that is to say in the defence of the life of each person, family, collective, community, or neighbourhood. To construct peace and justice, reconnecting ourselves from below,’ they said in a declaration released at the end of the CNI talks. ‘To talk amongst ourselves as the original peoples [of Mexico] was and is very important, now more than ever, because the destruction wrought by the corrupted powers on mother earth is extensive and that means that we will also be destroyed, because it is from and through her that we live,’ he said. Mexico’s outgoing President, Enrique Pena Nieto currently has an approval rating around 23 per cent – making him one of Latin America’s least popular leaders. The decision to participate in the 2018 election was announced at the conclusion Fifth National Indigenous Congress, held over the previous week in the city of San Cristobal, that saw delegates debate the political situation in the country and decide on joint action on a litany of issues facing Indigenous peoples in Mexico. Responses to "First Indigenous Woman to Stand for Mexico Presidency "